Self-organising teams is the antithesis to hierarchical structures that exist in many organisations. Traditional leadership required a strong leader to take control, attract followers and make it happen. 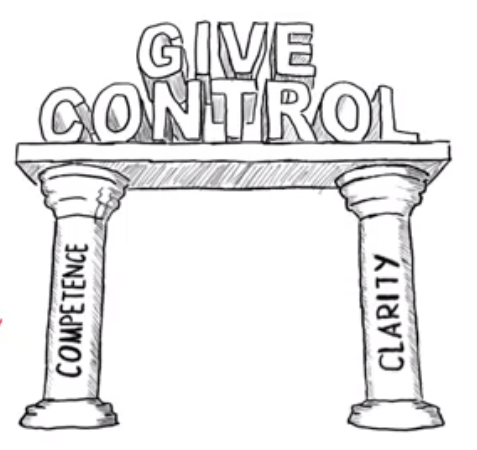 Modern leadership is about leaders giving control and creating leaders. Self-organisation requires autonomy and control to be given to teams. This includes trusting individuals to figure out how to solve problems, make decisions and how to best get work done. With knowledge work the best decisions are those in teams who are closest to the information and customers. However, structure, policies, processes and hierarchy often take the decision making away from these teams. Competence: Provide teams with the tools and technical competence to get the job done; create the environment for thinking. Clarity: Define and communicate the organisational intent so everyone is clear on the vision, goals & objectives. Everyone understands what is the right thing to do. As a leader you trust the teams are competent and have clarity of vision. Individuals have the freedom to adjust actions and make decisions in line with the vision and intent. So what does this mean for a leader in today’s ever fast changing world? If leaders do not believe individuals are competent and have clarity of vision, the leaders should fix THAT rather than remove power by putting in more controls or structure. As a leader your job is to ensure people have clarity of vision and the competency needed to succeed. If leaders don’t believe individuals can understand the vision or pick up the skills, why did the leader bring them in the first place? And if there is a competency gap, why did the leaders not mentor or provide training? We all have the extraordinary meta-skill to learn and acquire new skills. If people do not have the competence, the role of leaders is to mentor, give people training and provide the environment for learning.